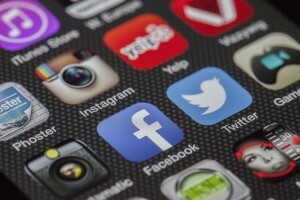 What would you say about your company’s social media efforts up to now? If they have been helping you land new business, by all means keep up the efforts. On the flip side, if your social media efforts have been less than stellar, do you plan to change course in the New Year? Being a social media dynamo in today’s business world is nothing short of a necessity. If your business is pushing itself on social media, it stands a good chance of getting noticed. If it is doing little or no social media promotions, the overall results for your brand can be damaging. With that being the case, do you plan to get more social in 2017? Given there are many benefits and advantages of using social media, are you taking advantage of any and/or all of them? For starters, social media gives you an opportunity to engage with consumers, something all businesses should jump on. In today’s business world, more and more companies are dealing remotely with customers. As more walk-in types of businesses become harder to find, consumers are oftentimes having to deal with automation, computers, and of course ordering goods and services online. With less of a one-on-one touch, businesses and consumers can meet in the world of social media. By engaging with current and prospective customers on sites like Facebook, Twitter and Instagram (there are more out there to look at), you can get the pulse of what people are saying about your brand. You can also help those in need of information and/or solving issues when it comes to your brand or industry. With that in mind, is it time you put more effort into social media heading into 2017? Efforts – If you’re a small business, you may feel you don’t have the time and/or resources to devote to social media. That line of thinking can prove very detrimental, so try and avoid it at all costs. Even if you have to outsource your social media efforts to make them work, do it. Having social experts manning your social networking needs is perfectly fine; though make sure you hire someone (or a company) with social media experience. There is much more than just posting a few messages each day or week. You should track and analyze (see more below) where you’re doing well and not so well on various social sites. Also look to see what times prove most opportune to engage in social media. Results – Last but not least, be sure to gather and understand the results you are getting with social media. To simply post blindly and not know if you’re making inroads or not is not productive. Also use your social sites to survey consumers on different aspects of your business. What do they like? What don’t they like? Are there practices you need to do more of (or for the first time) that you are not presently doing? Lastly, should you be focusing on one or more social sites to get the best results? Knowing where to zero-in on instead of spinning your wheels will benefit you and consumers at the end of the day. If social media has been a bit of a foreign concept to you up to this point, will that change in 2017?